Every day, businessmen and women throughout the country print 27 million business cards. These business cards are highly effective, too. 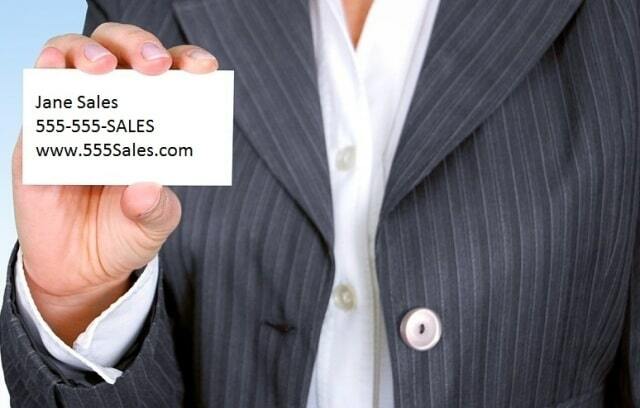 In fact, for every 2,000 business cards that get handed out, a business will see a 2.5 percent increase in sales. Clearly, business cards still play a big role in making connections and staying in people's memories long after your initial meeting. Still on the fence about business cards? Read on to learn more about the importance of business cards. You'll also learn some helpful tips on creating business cards that people will remember. There are a lot of offline marketing tools that you can use to increase your reach and raise awareness of your business. Business cards are still one of the best options to use on a regular basis, though. No matter what kind of business you're a part of, everyone is always trying to network and make connections these days. While online tools like email and social media platforms like LinkedIn allow us to broaden our reach and connect with people from all over the world, there's still nothing quite like exchanging business cards with someone face to face. Because we spend so much time online these days, the personal touch that comes with handing someone a business card can go a long way and help you develop a real relationship with a potential client. Of all the direct marketing tools out there, few can hold a candle to the humble business card. Nothing really compares to the in-person exchange of business cards between two professionals, especially now that so many people are opting out of carrying business cards at all. If you want to increase the likelihood that someone will give you a call after meeting them, you definitely ought to have a card ready to hand over to them. Having business cards handy helps you to create a great first impression when you're meeting potential clients. It shows that you're prepared and take your career seriously. Having business cards at the ready is especially helpful if you're a young professional working with older potential clients. They may be wary of working with someone so much younger than them, but if you can hand them a business card, they'll be more inclined to remember you and consider working with you. Business cards are the gift that keeps on giving. It's a permanent reminder of you and your business. With business cards, you don't have to worry about information not getting saved to a person's phone or getting lost in a sea of Dms. People also have a tendency to pass business cards along. Even if you don't hear from the person you initially gave the card to, you might hear from a colleague of theirs in the future. Business cards are a relatively low-cost marketing tool, too. You don't have to spend a lot of money to print a significant number of them. There are lots of online printing companies, too, that allow you to design and print high- quality business cards from the comfort of your own home. Finally, business cards are a great lightweight, portable marketing tool. Carrying around promotional swag isn't always practical, but you can always have a few business cards in your wallet. That way, no matter where you are, even if you're not on the clock, you can still work on building your brand and raising awareness about your business. Clearly, there are many benefits that come with having and distributing business cards. In order to really make a good impression, though, you need to design your business cards so they stand out from those of your competition. If you're still unsure of how to design a great business card, you can also reach out to a graphic designer for a consultation. Many online printing companies also have templates that you can choose from if you're looking for a more cost-effective solution. It's not enough just to have business cards. You also need to make sure you're using them in the correct way. After you get someone's business card, follow-up via email or on LinkedIn and let them know it was nice meeting them. This increases the chances that they'll remember you and hang on to your card. Clearly, business cards still play a key role in running a successful company and making new connections. Now that you know more about the importance of business cards and how you can make sure yours stand out, it's time to go out and start printing a fresh stack for your desk! Of course, business cards aren't the only tools you can use to increase sales and market your business. Head to the Sales section of our website for more tips and trick on how to grow your business both offline and online. I hope you enjoyed this blog post about the importance of business cards and why they are still valuable marketing or sales tools. Interested in more articles about business cards and offline marketing?